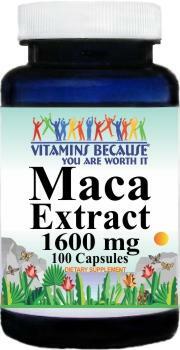 Maca (Lepidium meyenii) is native to the high Andes of Peru. It has been used as a powerful nutritional superfood by the Peruvians for thousands of years. Also known as “Peruvian Ginseng”, it has been used as an energy source without the jitters or crashes, along with many health benefits. Maca Root Powder is high in Protein, Fiber, Vitamin C, B Vitamins, Calcium, Iron, Potassium, Copper, Manganese and Fatty Acids. Phytonutrients in Maca includes macamides, macaene, isothiocyanates, and others. HEALTHY ENERGY BOOST: Maca root is packed with nutrients and would charge you with energy. BETTER MOOD AND STRESS RELIEF: Maca powder is a mood booster and helps keep stress and anxiety at bay. NORMALIZING HORMONAL BALANCE: Peruvian maca improves hormonal balance in both men and women. GREAT SOURCE OF PROTEINS AND MINERALS: Maca Powder is rich in iron, copper, and zinc. From the Mountains of Peru we present Maca root, or botanical name Lepidium meyenii - it has been used by the indigenous people of that region due to it's renowned health benefits, like improving skin complexion, increasing energy, and being rich in vitamins. Our Organic Raw Maca Root Powder is a nutritional powerhouse as well as being Non-Gelatinized, Raw, and Non-GMO. The yellow maca root comes from the yellow and white colored Maca roots which give a tangy flavor and make up about 60% of the roots harvested annually. Though there are no serious known side effects of Maca, like any other supplement, it should not be taken in large amounts.